Hello, Beautiful Sister is Christ! (Yes, YOU are beautiful!). Today, I have a free printable for you, just because you are loved and appreciated. 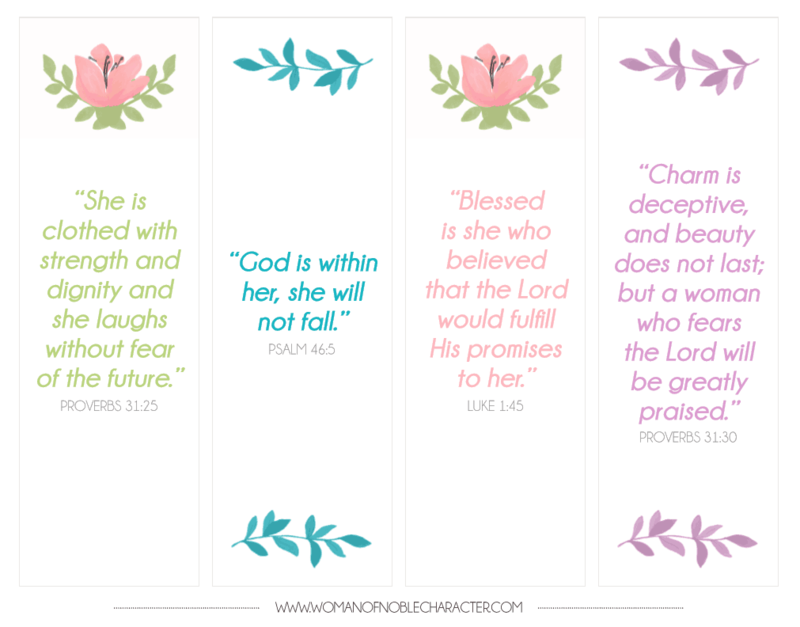 They are Bible Verse Bookmarks. Print them out on paper or cardstock (and laminate them, if you wish – that way, they will hold up longer). 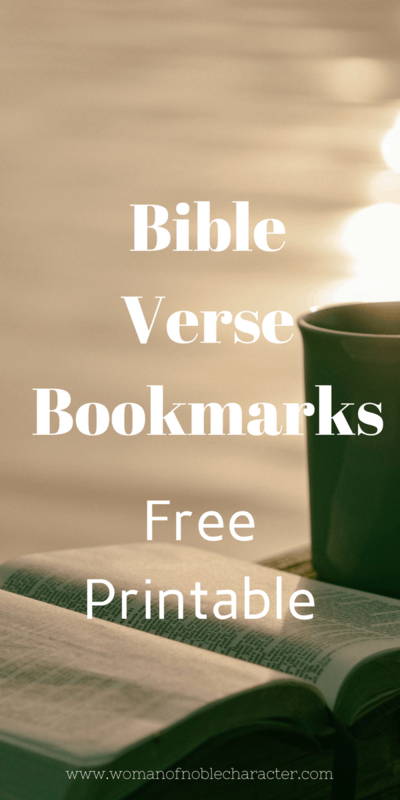 You can also punch a hole at the top and slip a ribbon through to add a bit more pizzazz and fun to your Bible verse bookmarks. Obviously, bookmarks are used to keep your place the in the book you are reading. 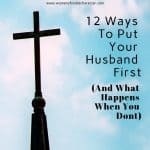 You have several in this printable. You can use them each in different books or use all in the same book. 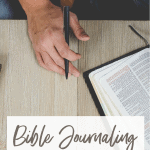 For example, if you are reading from the Bible and want to mark the place of several of the books of the Bible. 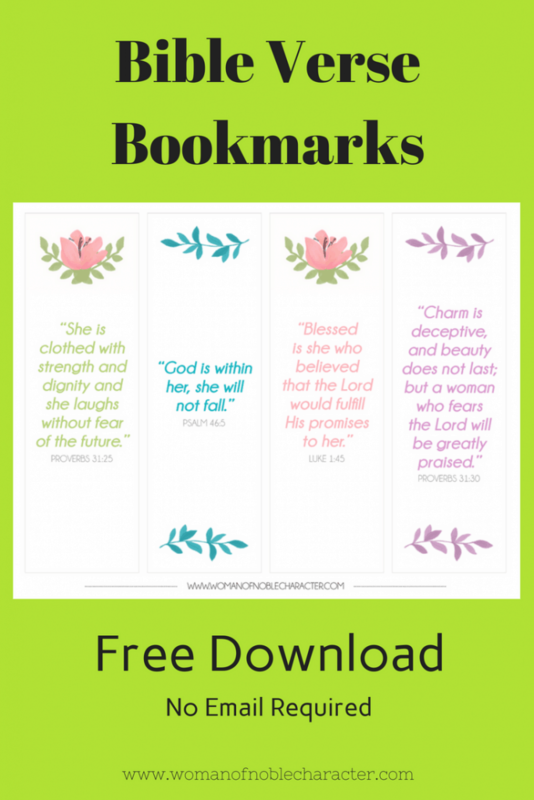 Just click on the image below to take you to the download page for the Bible verse bookmarks. Feel free to print as many as you wish and/or give to friends. I also like to print them and put them up in my office or closet to remind me of His love and promises. Tuck them in a card you are sending to a friend. Leave one in a book that you are returning to the library. Wrap a candy bar with one and gift to a friend. Tuck one in your child’s lunch or leave one on someone’s windshield. 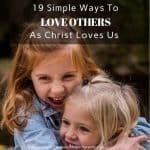 There are so many ways to use them to bless others – you just may make their day! 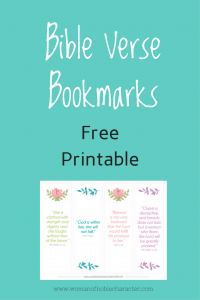 What other ideas do you have for these Bible verse bookmarks? How can you use them to bless someone? What are your favorite verses to remind you of His love and promises? What would you like to see on a second edition of these?